Houzez is a professional WordPress theme for real estate websites. This flexible WordPress template was designed and developed with the needs and requirements of real estate agents and companies in mind. Houzez offers a bunch of great features to display listings in a professional way and it comes with two plugins included: Visual Composer and Revolution Slider. This real estate theme allows you to establish professional real estate marketplaces, coordinate your agents or accept submissions for your listings and directory. Houzez is perfectly suitable if you are running or planning to launch high quality directory sites to list houses, apartments, mansions or any other type of accommodation. 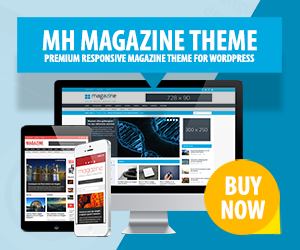 This is an additional demo of MH Magazine WordPress Theme which shows how you could use this magazine theme for a website about traveling, sightseeing, city or holiday trips. With this flexible magazine theme you can create beautiful travel online magazines, personal blogs about your journeys or professional websites about traveling.